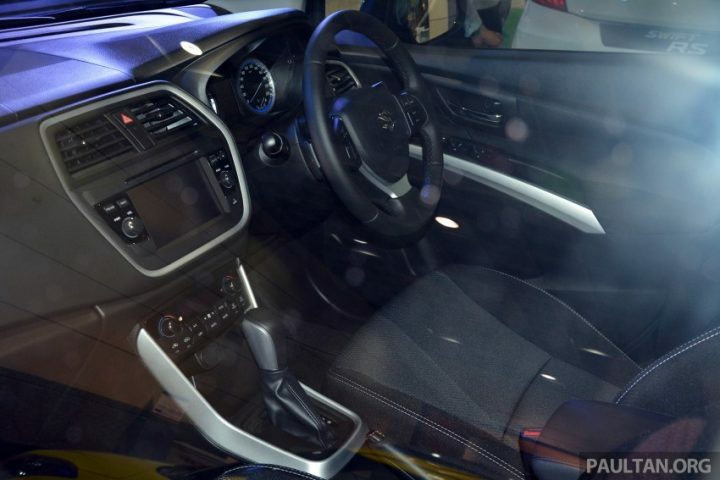 The India-Bound Suzuki SX-4 S-Cross was showcased ahead of its launch in Kuala Lampur at the Martrade Exhibition Centre. The crossover that has been tested in India and caught by spies several times close to the Manesar plant of Maruti Suzuki is set to be launched in Malaysia shortly. 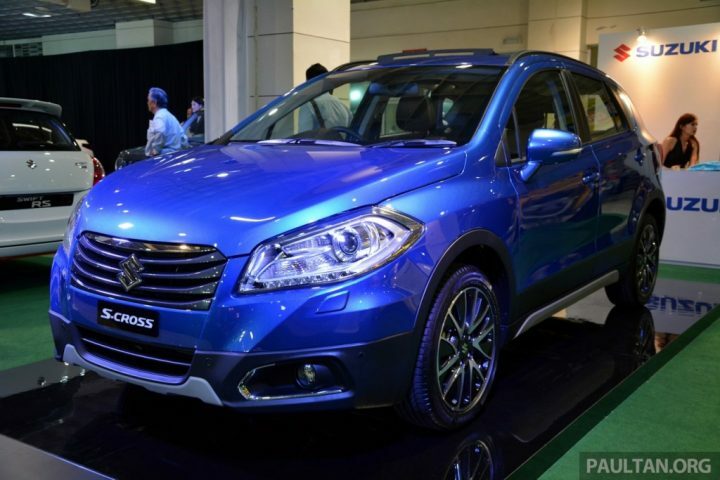 The showcased car in Kuala Lampur was not named indefinitely as the tailgate only had the SX-4 badge whereas the front plates carried the S-Cross name. The car should be launched in India sometime in 2015 and shall give tough competition to Renault Duster and Mahindra XUV500. This crossover SUV shall come in place of its aged predecessor SX-4 that markets are very well aware of. The earlier SX-4 was a result of a unique technical collaboration between Suzuki and Fiat. The new S-Cross has very different look and feel to it and is 4,300 mm long, 1,770 mm wide, 1,580 mm tall and has a 2,600 mm wheelbase, making it 160 mm longer, 10 mm wider and 10 mm taller than the SX4, it also has an extra 100 mm between the front and rear wheels. Under the hood, a 1.6 litre M16A four-cylinder petrol engine has been predicted that gives around 118 hp at 6,000 rpm and 156 Nm of torque at 4,400 rpm. The whole motor would most probably be connected to a CVT with seven virtual ratios. In terms of the exterior features, the SX-4 S-Cross that was showcased had a projector head lamps underscored by LED DRLs, roof rails and 17-inch wheels in Continental rubber. The crossover also features a panoramic sunroof that has double-sliding glass panels that conveniently open all the way to the back of the car. Inside we find more exciting new additions such as the engine start button, cruise control, auto lights, shift paddles and auto dual-zone air-con. Since there was an absence of an All-grip rotary dial next to the hand brake, the car must be a front-wheel driver. The interior of the car has an all-black look. India will receive both the diesel and petrol versions, within the next year. More can be said once the car launches in Malaysia. The car comes in the CBU route in Malaysia straight from Hungary at a price of RM 120 K to RM 140 K which works out to around INR 22-25 Lakh.